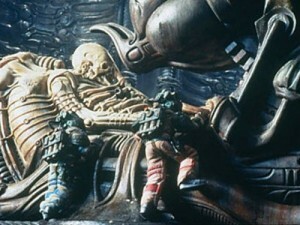 Check Out The Ultra Cool International Extended Trailer To ‘Prometheus’!!! Ridley Scott was at Wondercon this weekend and had a little something to say about his upcoming “Alien” prequel, ‘Prometheus’. This is just looking better and better by the day. I cannot wait to se this. Tom Hardy’s Latest Series ‘Taboo’ Drops A Trailer!!! Trailer For ‘American Crime Story’ Looks Like Riveting TV!!! Ryan Murphy Gives Us A Taste of ‘American Horror Story: Hotel’!!! This entry was posted on Sunday, March 18th, 2012 at 10:14 pm	and is filed under Events, News, Television. You can follow any responses to this entry through the RSS 2.0 feed. You can skip to the end and leave a response. Pinging is currently not allowed. « ‘Walking Dead’ Casts Its Zombie Killing Ninja, ‘Michonne’!!! [whispering] Tell him the liberator who destroyed my property has realigned my perception.